Horoscopofree gives you the possibility to hurl yourself directly into the future with Personal Horoscopes! After the completely free registration, here is a world made up of anticipation and everything to discover! Do you want to know if the wheel of fortune will turn in your favour? 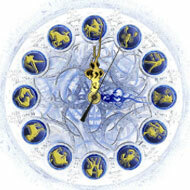 In this section you will find all the stars' personalized forecasts for your sign of the zodiac. 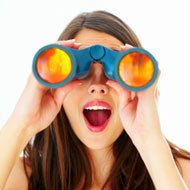 Treasure our astrologists' advice and enjoy yourself with Personal Horoscopes! How can I read my Daily Horoscope? Every day our Astrologists prepare accurate personalized horoscopes that are sent via e-mail to our Users for FREE. But if you are reading this, you have not subscribed yet! Subscribe now and you will receive your Horoscope! Subscribe now for FREE to immediately receive your horoscope! The word HOROSKOP (oroskopos) (oroskopos) comes from the Greek words "ORA" (time, season) and "SKOPEO" (I examine). All different scientific disciplines (especially Physics and Biology) have offered indications. In fact, the laws of the biological cycles help us to identify more easily the periods when certain cosmic correspondences are concrete and important in an individual's existence. A personal horoscope is the chart that reproduces a determined Astral situation. In order to draw this chart, we divide a circle into 12 parts of 30 degrees. These parts correspond to the twelve sectors of the sky, called Astrological Houses and correspond to the twelve signs of the Zodiac. The First House corresponds to personality, the Second House to financial well-being, the Third House to daily life, the Fourth House to the family, the Fifth house to emotions, the Sixth House to work and health, the Seventh House to unions, the Eighth House to secret qualities, the Ninth House to long trips, the Tenth House to your successes in life, the Eleventh House to friendship and the Twelfth House to life sacrifices. Everybody's Horoscope is determined by In order to draw this chart, we should draw a circle and divide it into 12 parts of 30 degrees each. These parts correspond to the twelve sectors of the sky, called Astrological Houses and correspond to the twelve signs of the Zodiac. The First House corresponds to personality, the Second House to the economic life, the Third House to everyday life and transfers, the Fourth House to the family, the Fifth house to emotions, the Sixth House to work and health, the Seventh House to the signed unions, the Eighth House to the secret qualities, the Tenth House to the realizations in life, the Eleventh House to friendship and the Twelfth House to sacrifices in life. For every one of us, the personal Horoscope is determined by sign of the Zodiac which was rising at the moment of our birth and this determines a group of common and recurring characters and aspects. Consult your free personal horoscopes every day and don't forget to join the Astrological Community of Horoscopofree.com! The stars talk about you ..
Making investments is so tiring! Every time you feel a doubt and don't know if it's the right time to play on the Stock Exchange, you can count on your Business Horoscope! You will receive personalised advice to solve any financial problem. Business no longer rhymes with stress with Horoscopofree! Nowadays you can receive the winning numbers for Lotto and Superenalotto! Let yourself be guided by Horoscopofree's Lucky Numbers Horoscope: unexpected winnings will take you by surprise. The Blindfolded Goddess could choose you this time… Follow the advice of Lucky Numbers Horoscope!